Description: Two Masters of Horror John Carpenter (Halloween, The Thing) and Tobe Hooper (The Texas Chain Saw Massacre, Lifeforce) come together to create a chilling anthology of terror. 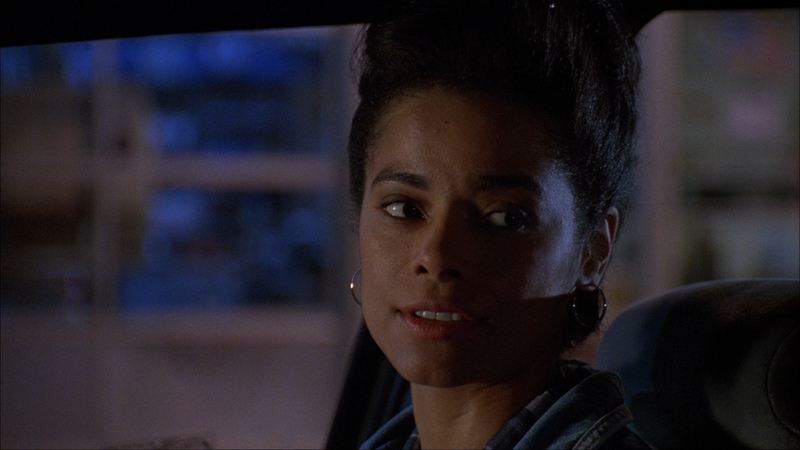 Alex Datcher (Passenger 57) stars as a woman working the late shift at The Gas Station while a killer is on the loose. 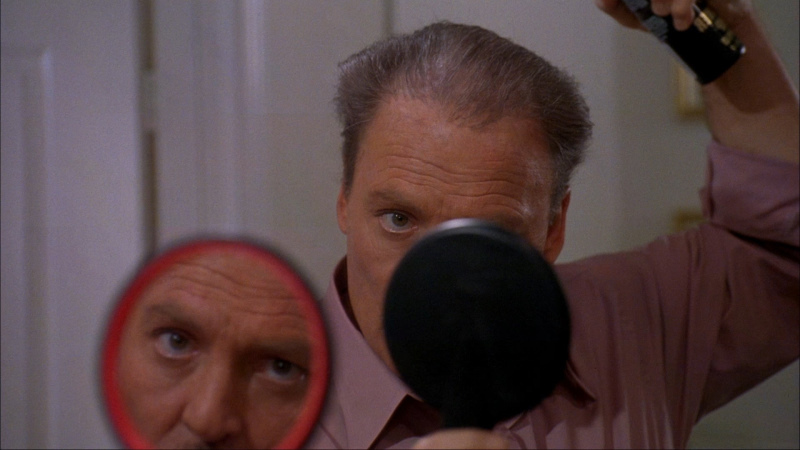 Then, Stacy Keach (Road Games) can’t stand the thought of losing his Hair and he’ll do anything to keep it. 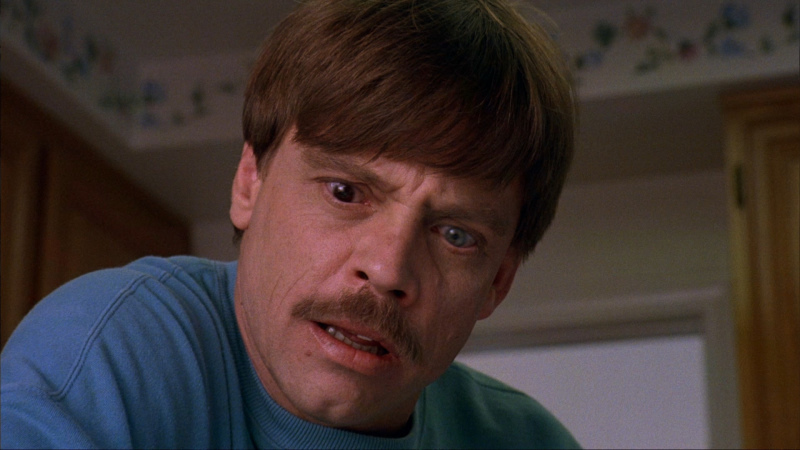 And finally, Mark Hamill (Star Wars) portrays a baseball player that submits to an Eye transplant after he loses an eye in a car accident. 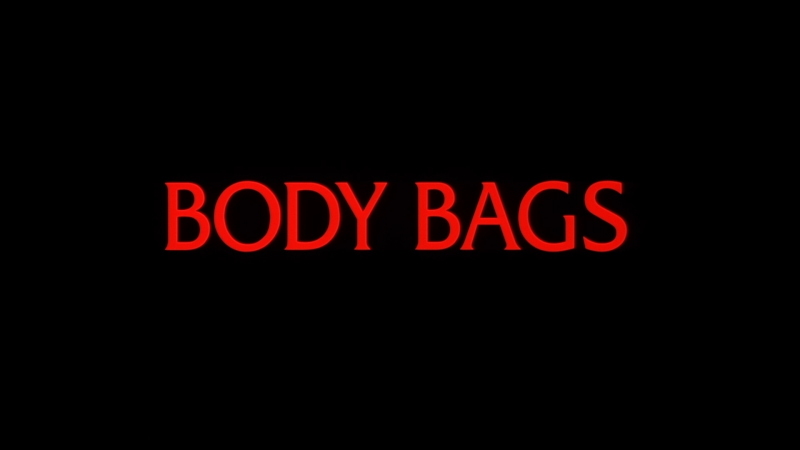 Featuring guest appearances by Deborah Harry, Sheena Easton, Twiggy, David Naughton (An American Werewolf In London), John Agar (Tarantula), David Warner (Time After Time) and cameos by Wes Craven, Tobe Hooper and Roger Corman, Body Bags delivers a fright-filled night of horror. With its trio of warmed-over stories (a killer eye, some killer hair, even a boring old serial killer), this is an attempt by a pair of one-time horror auteurs to emulate the successful Tales from the Crypt formula, only now it's nowhere near as happening. 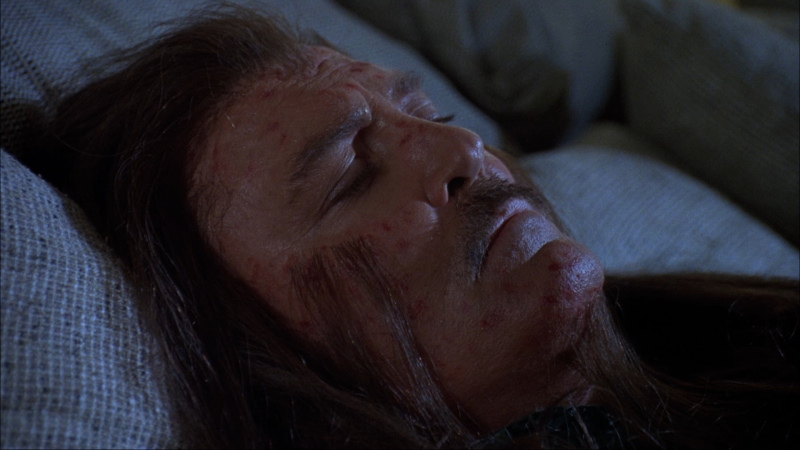 Not content with exposing his directorial shortcomings in two of the segments (Hooper directs the third in equally average fashion), Carpenter also inflicts a half-assed imitation of Michael Keaton's Betelgeuse on his audience as he presents all three parts from a morgue. Made for cable with many has-beens from hell. What makes Body Bags really work is the “fun” feel it has. This wasn’t made to be a moneymaker. 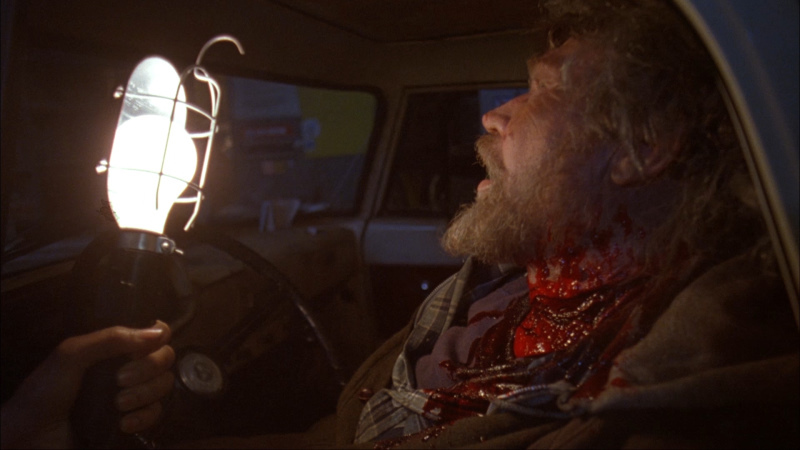 Rather, it was made for Carpenter and Hooper to have some fun with filmmaking. 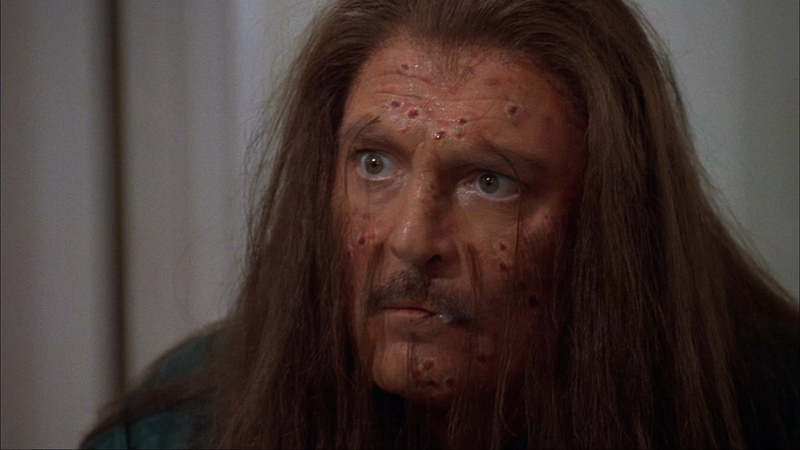 Carpenter’s acting part is a riot, and all three segments have a free and uninhibited feel about them. 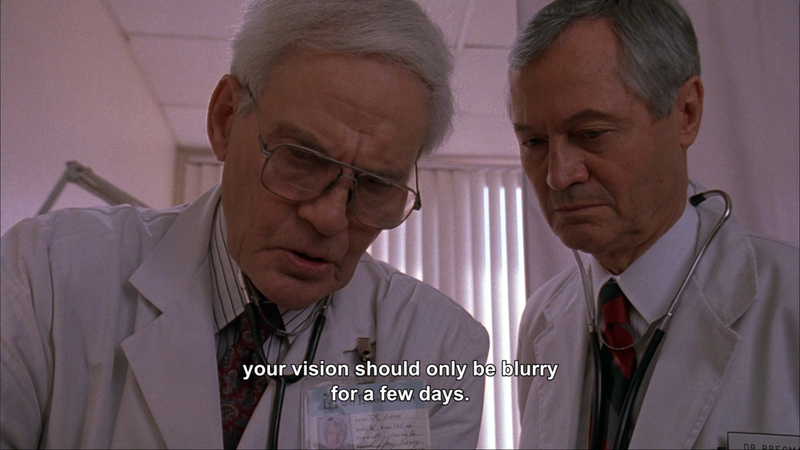 Sam Raimi and Wes Craven in the very serious first segment will put a smile on any film buff’s face. Likewise, seeing the goofiness in the second segment is a real treat. 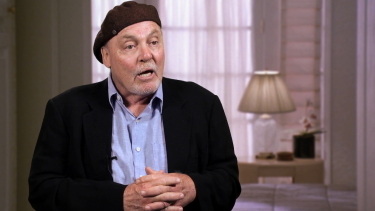 If you enjoyed Stacy Keach on Titus, then you’ll love him here. Watching him complain and worry about his balding head is pretty damned funny. As for the final installment, the one involving Mark Hamill losing his eye and gaining a new outlook on life (another lame joke…jeez, someone needs to put me down), I feel that it brings us back to a more dramatic atmosphere. The use of the eyes as the “windows to the soul” here is very thought provoking…as well as fun to watch. Shout! 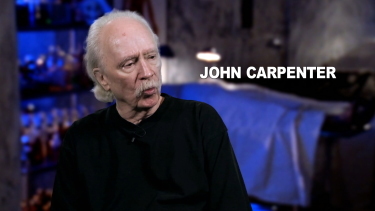 Factory offer more John Carpenter (see other Shout! 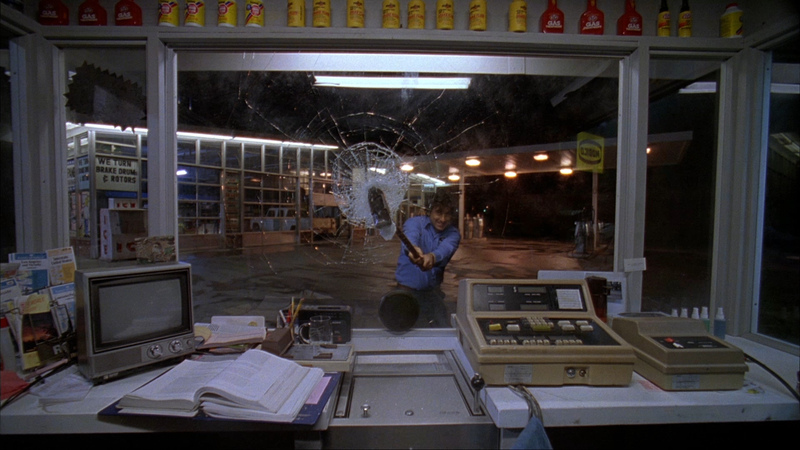 Factory offerings from the director; The Fog, Assault on Precinct 13, They Live) with Body Bags - three horror-genre stories including one from Tobe Hooper. 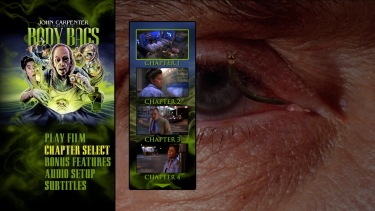 The Blu-ray image looks fine - dual-layered with a high bitrate. The image looks solid in 1080P and I see no signs of manipulation. Colors are reasonably tight and bright and contrast supports decent detail with some depth produced. There are a few instances of noise but I wouldn't say it was intrusive. 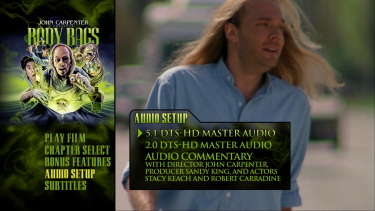 This Blu-ray seems quite reasonable in terms of providing a representational 1080P presentation. Audio is in the form of a strong DTS-HD Master 5.1 at 3493 kbps or the option of a similar 2.0 channel stereo at 2050 kbps. Effects are crisp with potent depth although they seemed to be used sparingly. 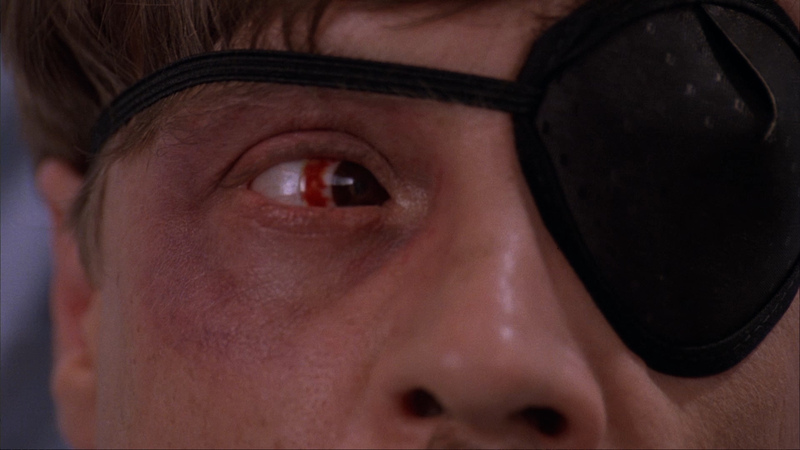 The score is by John Carpenter and Jim Lang and carries well. We also get 'Almost Cut My Hair' by Crosby Stills Nash & Young that sounds, predictably good. There are optional English subtitles and my Oppo has identified it as being a region 'A'-locked. Shout! Factory include three light audio commentaries - one for each 'tale' with director John Carpenter and actor Robert Carradine on “The Gas Station”, Carpenter again, and actor Stacy Keach on “Hair” and with Producer Sandy King & Justin Beahm on “Eye”. 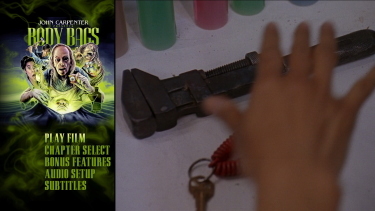 These have amusing moments and are quite congenial pointing out the homage bit parts (Corman, Craven etc.). 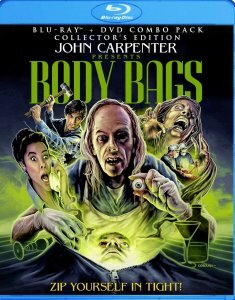 Also added is a 20-minute featurette entitled Unzipping Body Bags - it has interviews with Carpenter, producer Sandy King and actors Stacy Keach, Robert Carradine and Mark Hamill discussing the production. There is also a trailer. 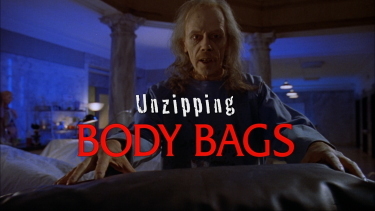 I got a kick out of Body Bags, but while I liked The Gas Station I wouldn't say this was representational of the directors' best work. Hair was a little goofy and Hooper's Eye had a different style. 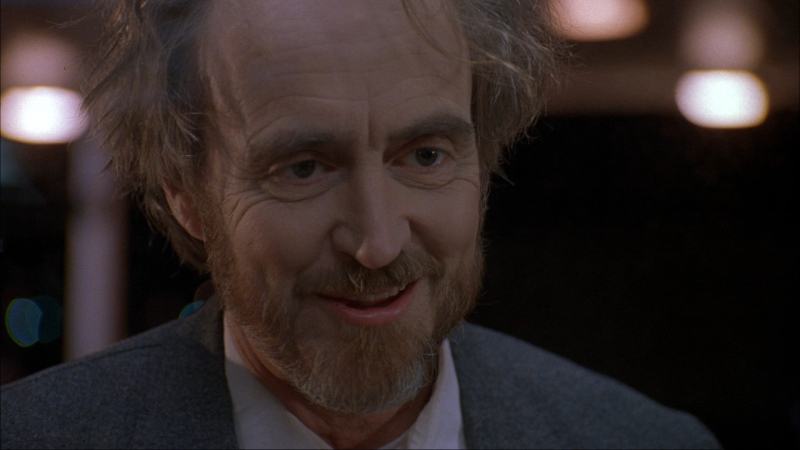 The commentaries add some needed value and fans may wish to indulge in this Collector's Edition Blu-ray even with sub-par Carpenter/Hooper - there is still enough to enjoy. Recommended!